December “Blount’s sinewy poems are bound together with countless silken ties of desire, fear, and affection for the world in all of its wounding might. Ranging from tightly made free verse, to sonnet, to villanelle, these poems perpetually shrapnel into each other. Each poem shuts its mouth “around the rough ramble of wordlessness” ” —Dante Di Stefano The Best American Poetry blog. In 2016 at Inch–our quarterly magazine devoted to the most compressed literary work, whether it’s poetry, fiction, or creative nonfiction–we were thrilled to publish prose from: Cameron Quincy Todd, Nick Admussen, Landon Godfrey, Michael Parker, & Fred Muratori; along with poetry from: Anna Bernstein, Ellen C. Bush, Maddy Raskulinecz, & Abi Pollokoff. Johnson received her MFA from Columbia University and is currently pursuing her PhD in literature and creative writing from the University of Southern California, where she is a Provost’s Fellow. Her poems have recently appeared or are forthcoming in The American Poetry Review, The Southern Review, the Antioch Review, Iowa Review, Massachusetts Review, and other journals. Michael Parker with his fiction chapbook, Everything, Then and Since. We will hold another open reading period in summer, 2017. 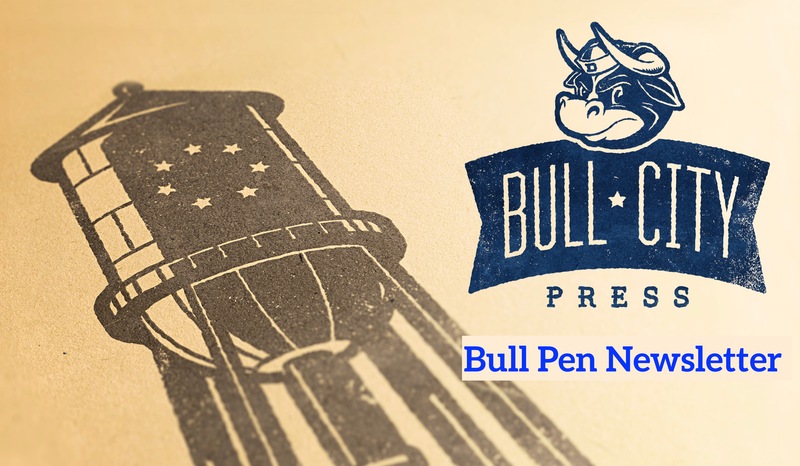 In summer 2017, the winner’s chapbook will be published by Bull City Press, and the winner will receive 10 complimentary copies (from a print run of 300), and a $250.00 stipend. The winner will also receive a full fellowship to attend the five-and-a-half-day Poetry Seminar at The Frost Place in August 2017, including room and board (a cash value of approximately $1,500.00), and will give a featured reading from the chapbook at the Seminar. In addition, the chapbook fellow will have the option to spend one week living and writing in The Frost Place House-Museum in September 2017 (peak leaf season in the White Mountains), at a time agreed upon by the fellow and The Frost Place. our show on the road to AWP 2016 in LA and to the North Carolina Writers’ Network 2016 Spring Conference. Look for us a these venues again in 2017!